With U.S. unemployment at historic lows, attracting qualified workers has become challenging. 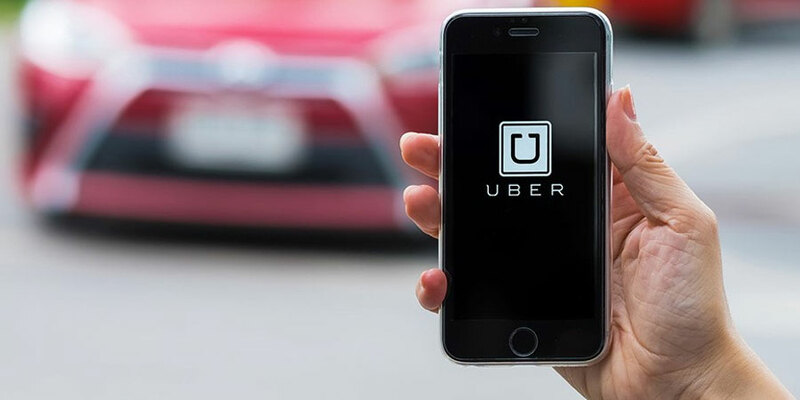 In this opinion piece, Gad Levanon, The Conference Board’s chief economist for North America, and senior economist Elizabeth Crofoot explain why online labor platforms such as Uber and TaskRabbit are not just for consumers but can also serve as a smart business outsourcing strategy. For companies looking to fill shortages in certain jobs, platforms offer a flexible, lower-cost solution to finding the right talent. You wouldn’t know it from all the hype, but the share of Americans employed in the gig economy has stayed stagnant over the last two decades, according to the Bureau of Labor Statistics. However, one part of the gig economy that has taken off is this: online labor platforms. Popularized by Uber but also by handyman sites such as TaskRabbit, online labor platforms connect individuals and businesses with independent contractors offering an array of services. While drivers using these platforms currently make up most of the income earners, other occupations could experience growth as well. For that to happen, platforms will have to adjust to a corporate clientele and more businesses will need to see the sector’s benefits. Businesses needing certain types of help can look to these platforms for delivering value in three interconnected areas: cost, flexibility and talent. Many of the benefits of using online labor platforms come at the right time, amid a tightening labor market. With U.S. unemployment now at the lowest level in five decades, America’s C-suite executives understandably rank the ability to retain talent as a top business challenge for 2019. In such an environment, any innovation that expands the supply of workers is a welcome addition. To that end, online labor platforms can provide businesses with a global talent pool. The virtual nature of online freelancing means businesses can recruit workers from anywhere in the world. And as long as they have a steady internet connection, those workers can perform their tasks at any time of day. Beyond remote work, many platforms also offer on-site workers for local services. For example, they can connect companies to delivery drivers, cleaners, food servers and janitors — key blue-collar occupations for which businesses now struggle to find workers. Whether a business needs remote or on-site assistance, they can receive substantial information about prospective hires from certain features of these platforms, which often include matching algorithms, worker profiles, ratings and reviews. Think of it as the B2B equivalent of such companies as Amazon and Netflix, which offer customers fast, personalized recommendations. In much the same way, labor platforms enable employers to find specialized talent more effectively than their competitors. The tightening labor market has also meant higher costs, which online platforms can in some instances alleviate. For example, opening up a global talent pool puts downward pressure on wages. Americans end up competing with workers in India and other emerging economies around the world, all vying for the same jobs in data entry, design, writing and translation, and IT. Another cost benefit is that platforms allow companies to dissect traditional jobs into distinct billable tasks. This expands the range of activities that falls under the umbrella of gig work and provides opportunities to outsource smaller or more targeted portions of work at a lower price. And these sites’ matching technologies reduce some expenses associated with screening and assessing candidates. Lastly, platforms can provide businesses with faster matches. The ability for businesses to quickly obtain help has become more challenging, when workers are now leaving their jobs at the same pace as before the Great Recession. It can take weeks to hire a contractor through a traditional staffing or contracting firm. But because of the little administrative work involved, companies can bring on platform workers within a matter of days. Further, avoiding the lengthy engagement process with a staffing or contracting agency means companies can rapidly build teams for IT and other quick-turnaround projects. Silicon Valley gave initial momentum to online labor platforms after the financial crisis by using them mainly for IT projects. They have since gained more popularity with large businesses looking for workers across a variety of occupations and skill levels. On the higher end of the skill spectrum, Procter & Gamble uses labor platforms including UpWork and TopCoder not only to fill traditional IT roles but also to fill knowledge gaps. For instance, the company uses Upwork to bring on freelance market research analysts, management consultants and regulatory compliance specialists. GE, in particular, has carved out a niche for these platforms by developing one of its own. To drive product innovation, the company’s GeniusLink serves as a crowdsourcing mechanism for high-skilled workers including data scientists and engineers. Platforms can work well for lower-complexity work, too, as the company Shutterfly has shown. The image publishing business has used them for office support jobs including accounting clerks, but also for more physical, blue-collar occupations such as printing machine technicians. And during the holiday retail season, some retailers turned to these platforms for bringing on extra, in-store shifts for salespersons or hiring extra order-fillers for their warehouses. More generally, our recent research reveals the occupations that most lend themselves to online labor platforms. They include IT workers; drafters and engineers; writers and editors; marketing specialists; artists and designers; clerical and administrative assistants; salespersons; food service workers; store and warehouse clerks; delivery drivers; and cleaning and maintenance workers. So far, most companies have yet to seriously consider using labor market platforms. Since 2013, jobs in the transportation sector — including Uber and Lyft — have driven their growth. Ride-sharing, in particular, easily lends itself to platforms because the task of driving a person from point A to point B is straightforward. Such tasks require little to no tailoring to specific customer needs, and transactions are booked and completed quickly. Among other steps, gaining more traction beyond transportation will require platforms to better integrate into HR and procurement systems. And that means more will have to offer enterprise packages for large-scale contracting. Without such packages, most companies will continue seeing the risks of these sites as outweighing the benefits. Relying on a cadre of outside freelancers, after all, involves risks regarding intellectual property and preserving corporate culture. It also means training staff on how best to use these platforms, changing employees’ roles as platform workers move in and out of teams, and gaining employee buy-in around the new recruitment strategy. However, the market is evolving as platforms such as Upwork Enterprise and Fiverr Pro have started offering models for larger companies. As these company-tailored models develop, businesses need not wait to start realizing the benefits of platforms. Newcomers can get their feet wet and start trying them by, first, understanding what occupations or roles within their organization are suited to platform sourcing. Companies can then start by hiring for small-scale projects — in particular, ones without a significant learning curve in which workers can hit the ground running. Companies should also recognize and embrace the potential successes and failures of experimentation in this realm. When using a platform, because there is no in-person interviewing done by the hiring manger, companies take the risk of a bad fit in return for a speedy and less expensive one. Finally, companies should coordinate early on with all stakeholders involved, including hiring managers, executives, employees and business units often involved in contracting outside. Down the road, the labor market will stay tight over the next decade due to slower U.S. population growth, more limited immigration and a mass exodus of Baby Boomers from the workforce. This economic environment will continue to yield labor shortages and prompt rising costs. As an innovative way to access the capabilities and talent businesses need, labor market platforms can be a key addition to the toolkit.